There is an air of familiarity to Krampus. It has some of the usual Christmas tropes, like wishes for Santa, feuding family and an awkward Christmas meal which has been done many times before. This isn’t where the familiarity comes from though. The air of familiarity comes from the weird-twist to Christmas that Krampus brings and the darker, black comedy tone too. As you watch, there will be moments where you will be reminded of that other forgotten Christmas movie, Gremlins. Krampus could not be mistaken for anything else but a Christmas movie, with a family being attacked by an anti-Santa, who rather than leave gifts for children, steals them and their families away forever. Once it is unleashed, so begins the horror. There is a very deep horror to the movie too. Children will be snatched. 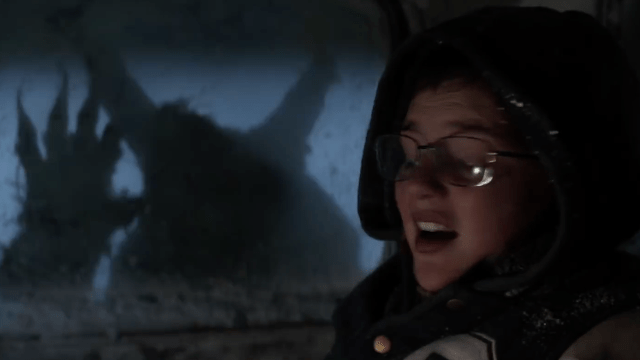 One scene where a teenage girl hides under a car to escape the Krampus is very freaky, while the “helpers” for Krampus range from the comical to the grotesque, with a giant monster “Jack-in-the-Box being a memorable character. That is the strange element to Krampus, with each of the horror-tropes, it also has a great vein of humour running through. This comes from the actors for starters, with some comics taking the adult roles. Anchorman’s David Koecher and Parks and Recreations Adam Scott deliver some of the laughs, while Toni Collette as the Mother of the family can also do funny very well. It is also within the character design. As freaky as they are, the little gingerbread men that attack the family are much sillier than scary, while seeing an evil-teddy stabbed in the eye will draw a smile and a wince. All these aspects are examples of how creative Krampus can be. One notable moment is the Grandmother’s story, retold using a great animation which brings wonder and horror in equal measure. It is unfortunate that sometimes the budget shows itself, particularly with The Krampus himself. Once the creature is presented in his full glory, you can’t help but see the “strings” behind the design, although there is plenty of other aspects to help bring the character to life. It is also at this point that the tone shifts dramatically. This is a horror movie at heart but not a traditional Christmas one. It veers towards the distressing towards the end, with family members being picked-off one-by-one, including children, and an ambiguous ending which will leave you asking questions about the family’s fate. 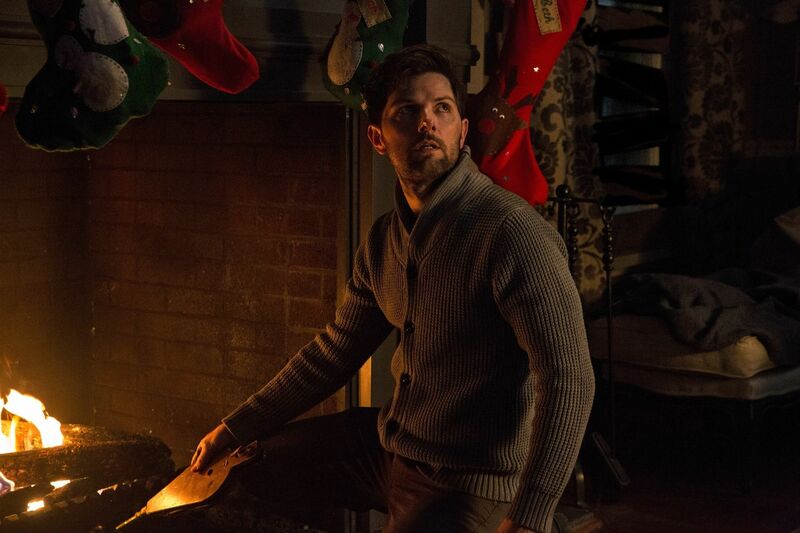 Overall, Krampus is a good mix of black comedy and dark horror. It has some very creative moments, from the “helpers” to a fantastic animated interlude, with comedy actors who can more than hold their own within the scares. Unfortunately, a slightly “too dark” ending may leave people considering if it’s a Christmas movie at all. Yeah, I love this movie. I didn’t get a chance to review it but I thought it was fun. It had a kind of fairytale quality to it and the dark comedy aspects spruced up what would otherwise be overused horror tropes. I’d probably give it a slightly higher grade than you, I can see myself watching this again, for many years to come. I don’t know about that. It didn’t have a lasting effect on me and wouldn’t make my traditional Christmas movies list.